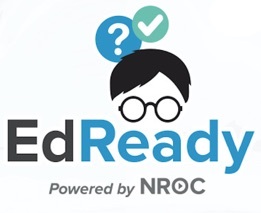 While you are still working to improve your EdReady score, you can also choose to study an individual Unit at any time… including Units that you have previously mastered AND Units you don't need to meet your target score, but may be helpful to better prepare you for what comes after EdReady! 2. Return to the Study Paths Page for this goal (you can get there by clicking the Study Paths link in the breadcrumbs) . View all the units in this study path by clicking the Overview link under the study path name. Once you see all units, click on any Unit Name to study that unit. Either way, you will end up on your Unit-level Study Path for the selected unit. It is similar to your full study path, but note that the score bar only shows this single unit and lacks a target score. Another notable difference is that topics you have already mastered will be listed in the regular study area, so you can view the associated resources and review your knowledge at any time. Any progress you make here (to your EdReady score & unit/topic status) will also be reflected in your full study path. Can I study the units on my Study Path that are not needed to reach my target score?